Wanting to change up your skincare routine? Or looking for some new makeup inspiration? We’ve got you covered! We’re building an exciting community of South African blogs and influencers. 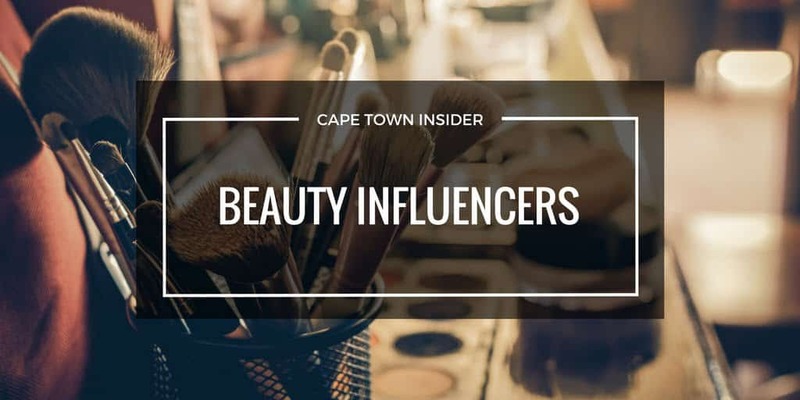 In this section you’ll find many of South Africa’s top beauty blogs who are just waiting to share their new product finds, makeup reviews and skincare regimes. You can use the search box to find your favourite beauty blog. Creepy but cute, girly and grunge, rainbow-haired Sheri-Lee Greenway loves experimenting with fashion and beauty to explore different sides of her personality and creativity, she has fun testing out new makeup and beauty tricks, and documents her views on fashion and beauty on her blog SA Fashion Girl. Sheri-Lee Greenway experiments with fashion and beauty. She’s not afraid to stand out with her creative writing style or her pastel goth look. 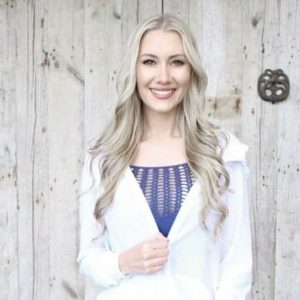 SA Fashion Girl readers know life is too short to turn your volume down and they embrace everything unique and original. A Fashion, Beauty and Travel Destination. Tarryn Candice is a fashion, beauty and travel influencer, entrepreneur and all round social butterfly based in South Africa.Tarryn’s personal style is a perfect combination of classy, edgy and feminine, which has been highly influenced by the street style culture as well as her extensive international travel.Through social media, Tarryn records her fashion, beauty and lifestyle point of view by Read More stylish expression which has successively turned her into a top source for inspiring women. My website is platform to share how I can assist you as a personal stylist. You know, clean up your look and freshen up your attitude about yourself. As for the blog section, this is where I get to share unedited, unfiltered style tips that will help you maximise your wardrobe, motivate innovation and assist in transforming you into a smart shopper. All Things Pretty is a lifestyle blog, that is a tribute to all of my loves & passions. Here you will find all sorts of information, creations & inspiration. My favourite topics are all things food, travel, wine, photography & gin. Pot of Gold began as a creative outlet for Sheena when she took a year off to travel and thus, Pot of Gold was founded in November 2016. A life wrapped up in luxury with confetti thrown over for good measure, her lifestyle blog – Pot of gold is aimed at people who have no apologies for living their best lives. Primary topics include travel, fashion, health and beauty. Beauty Candy Loves is a blog where I share my thoughts on beauty products and my life experiences. My website offers browsers and readers inspirational and easily applicable life principles in the form of articles and e-Books. Hair. Fashion. 'n every Obsession! The good things in life, but on a millenial budget. A lifestyle blog where fashion, beauty and travel meet food, cocktails, decor and a little DIY. 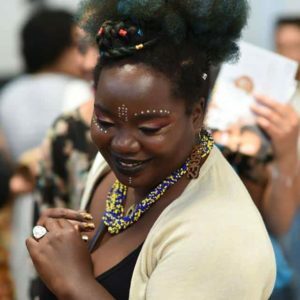 This blog is written by Cherice ‘Reesy’ Landers, who is passionate about writing, brand strategy, marketing and all things glam, with a hipster flair. Smatfin is a retail blog that focuses on the Retail industry in Southern Africa. Our aim is to help retail entrepreneurs get more customers in/on store, more often, buying more. Smatfin works across multiple retail sectors including; Manufacturing, FMCG, Health & Beauty, Homeware, Electronics and Fashion. I am a Durban based blogger in love with nail polish and nail art. I love to share the brands and polishes I love as well as a wide variety of nail art and what I used to create them. I also like to share things that I love and use often. byLungi.com is a lifestyle blog that covers topics such as healthy hair, travel, beauty, food and lifestyle. The blog editor in chief is Lungi, a black South African woman in her 30s. 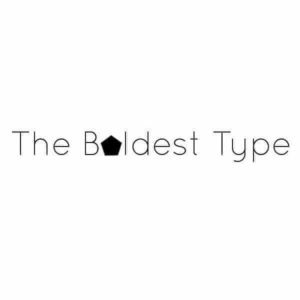 The blog seeks to create a community of women who are interested in these topics by engaging them on new products, reviews and authentic experiences. aZestyLife aims to inspire women to add zest to everyday life. Features include tips, trends, insights & thoughts on life, food, beauty, travel & décor. Think delicious recipes, home tours, things to do & see in dorpies & cities, as well as restaurant & spa reviews. Oh yes, & sometimes a bit of parenting, style & wellness. aZestyLife always strives to be honest, authentic & fun. JustNey Blog is a place where I combine my love for D.I.Y products to giving honest reviews of products I either received or bought. I also have a section called #TruthBeTold where I just rant a little sometimes. City Goddess is a South African skincare and lifestyle blog that showcases the latest skincare reviews, skincare trends, and lifestyle posts. You will also find the occasional makeup, fashion, family and home decor post. I will review skincare products and treatments I have tried, places I have visited, chat about my personal style and my take on fashion. Lovely Pretty is a South African blog, designed to help and inspire you in your journey from bride to wife. Starting with wedding planning tips from the pros, inspirational mood boards and real wedding stories, your journey continues with helpful information on preparing for marriage and becoming a homemaker. I have learnt a few tips and tricks along the way that make wedding planning so much Read More easier and more fun! I love all things pink, drinking tea, taking naps and looking at cute pug videos. Tyranny of Pink is about intentional living, with a focus on living life positively, purposefully and authentically. I write about being resilient in the face of adversity and being proud of who you are! On social media, I share about the day to day adventures I have with my family. Eat. Drink. Live! My blog is a lovely concoction of everything that makes me happy – beauty, lifestyle, travel and food. I love to review products and places, try new foods and experiences. You’ll find reviews on beauty products, restaurants, hotels and spas, as well as some personal posts and wearable makeup looks. I also love giving advice on skincare and makeup, as well as the best spots to eat in KwaZulu Read More Natal. It’s, what I like to call – a cultural influence blog. Inspired by fashion, music and lifestyle. It’s a blog for Africa. Topknotch is a celebration of South Africa’s best in lifestyle, food and beauty. It’s a place for the everygirl to read the latest product reviews, discover new and affordable holiday destinations and be reminded of the importance of balance and wellness. Based in Cape Town, follow along for the ride as I hunt down the perfect coffee, affordable birthday gifts and the ultimate mascara! The Glam Unicorn is a beauty and lifestyle blog. The beauty aspect of the Glam Unicorn focuses primarily on reviewing budget-friendly products to assist individuals who are on a budget but still want to keep up with the latest beauty trends. The lifestyle aspect of The Glam Unicorn promotes local hotspots in and around the city of Durban as well as providing easy DIYs and healthy recipes for you Read More to try at home. I am 44 and maybe it will give me a different perspective on review of products. I was born and raised in South Africa, and have lived in Gauteng all my live. I am an average mom/career women looking for that product that is going to change my world. I am definitely doing this on a budget! I started this blog to pay it foward: I’ve spent years benefiting from other beauty enthusiasts sharing their experiences and thoughts. This is me adding to that pool of free beauty knowledge out there, especially for women of colour and those with coily hair. If you love Beauty, Lifestyle, or Travel experiences, tips and DIYs, then you have come to the right place! I am a 24 year old, freckled, pale skin, blonde haired girl living in Cape Town, South Africa. I have been blogging since 2013, but I am still learning new things everyday – things that I love sharing with you as I discover them and experience them. Since 2013 I have tried different styles Read More of blogging, and I am finally discovering what I love blogging about – Beauty, Lifestyle and Travel. Be Whole is an African girl’s guide to holistic beauty and wellness. The Jog Blog is an online fitness health and lifestyle magazine portal. We cover latest fitness gear and gadgets, training programmes, product reviews, inspirational and educational content. We have something for everyone who wants to achieve healthy goals, big and small. Tarryn Candice is a fashion, beauty and travel influencer, entrepreneur and all round social butterfly based in South Africa.Tarryn’s personal style is a perfect combination of classy, edgy and feminine, which has been highly influenced by the street style culture as well as her extensive international travel.Through social media, Tarryn records her fashion, beauty and lifestyle point of view by Read More stylish expression and a keen sense of humour which has successively turned her into a top source for inspiring women.Tarryn’s unique and inspiring personality, professional acumen as well as fashion sense has advanced her to create business relationships with accredited brands and retailers locally and internationally. Nutreats is a wellness and lifestyle website passionate about making healthy living simple and accessible. Our topics span health, fitness, food, recipes, gear, travel, lifestyle and reviews. We love discovering new things and sharing them with our readers so they can enjoy them them to. A blog that aims to inspire and educate youth in the areas of beauty (natural hair), travel, specialty coffee, fashion, and other lifestyle issues. 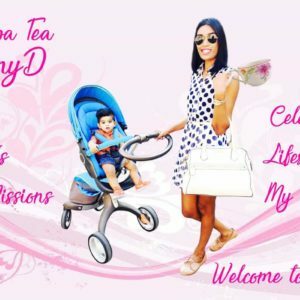 Me, Cupcakes and Tea is a lifestyle blog with some beauty, travel and food thrown in. On this blog you will find beauty reviews, new and exciting recipes, as well as hotel/restaurant reviews. There are also personal posts as well as posts relating to relationships. Rebel Wanderlust was founded in 2014, as a fashion, lifestyle and culture blog for the obscure. It’s a personal blog, featuring aspects of my own aesthetic, life and beliefs, but also curatorial, with editorials on art, fashion, music, and anything fascinating. It’s also a place to discuss and connect, as I really love hearing from readers. Due to my weird introvertness , I currently post Read More sporadically but often. It has now become a way for me to showcase my work and get ideas and feedback from other people. It is now an eccentric style seeker. Hi, my name is Nicole and I create content on the website https://www.meletso.com with my fiancé Tc. Meletso is a lifestyle blog which focuses on travel, food and even beauty. We share this content across Instagram, Twitter, Facebook and Pinterest. Inspiring Stories on Travel, Food, Beauty and More! #LorindasWorld was created in 2015 with a single purpose; to fulfill my passion and love for travel and to share these life experiences with others. As an entrepreneur in the PR and Media industry, I believe my expertise and professional experience sets me apart from other travel and lifestyles blogs (and blogs). I have worked for many years with international lifestyle and hospitality brands, and Read More this serves as a cornerstone for #LorindasWorld in not only the quality of content I deliver but the deep understanding of the commercial impact good travel blogging can hold. 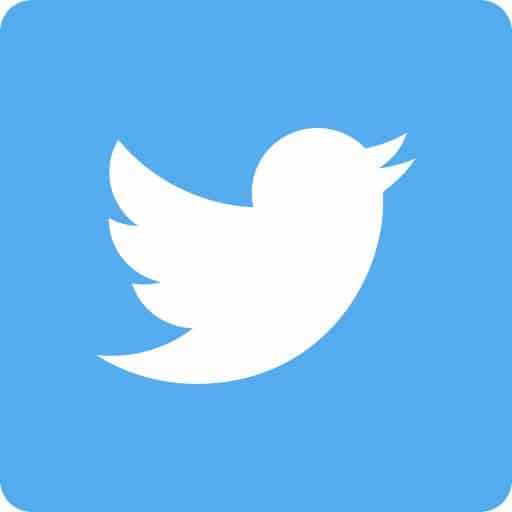 My blog has a loyal following and I stay active on social media with my finger always tapping on the comment icon, as a result, my social media accounts continue to grow. A modern expressionist and a creative at heart. I am a caffeine addict, a self-proclaimed foodie and a lover of life. This blog is basically a collection of all my favorite things, a platform to share and Inspire. “The Makeup Maverick” is an outlet for me to share my love of all things beauty and fashion-related! I share product reviews of products that I purchase on my own and that companies send me. I also post articles that inform readers about ingredients in beauty products to create awareness. I am an ambassador for Pink Cosmetics located in Cape Town and I review their products as well. I post about Read More many fashion trends & events and how to reuse your old (but hard to part with) garments! Youtuber from South Africa on a journey to showing men how to style and take care of their hair, as well as exploring a bit of men’s style along the way. Guys can have fun too! On this channel we cover hairstyle tutorials, product reviews, how to achieve certain haircuts and some fashion look books. Embarking on a journey together and learning from one another: Spiritually, Mentally & Physically. I enjoy doing product reviews that allow me to air my opinions about beauty products and gadgets. I wear contact lenses (sometimes glasses) and this provides me with the advantage of having a different perspective on many products. On top of the beauty products posts and reviews I like posting about life, traveling and visiting restaurants. I enjoy sharing recipes as well. I believe that my blog Read More is set aside from other blogs by my unique way of observing life, and I am a blogger on a budget. 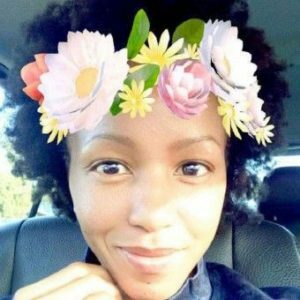 Pretty Palesa offers tips on how to care for your natural hair, product reviews on anything from skin to hair, and also some lifestyle advice. You can also find relatable content for twenty somethings who are in University, some inspiration and learn a few things too. It's Time to Break out Girl! Welcome to my blog. Hello World! Break out Girl. Where I write about the world seen through my eyes. A world where if you choose ;you can break the labels society tries to box you in. A world where you can be whoever you want to be! My blog is about living a life that is inspired by beauty in all forms of life and how you can be inspired by beauty. Beauty has many facets like the presentation of the things that we eat, sea, read and mostly what we think about. Beauty is what we make of it! My newly launched blog will mainly focus on Fashion, Lifestyle and travel. I’m of course not limited to these topics, because, being a career woman as well, I inted on writing about career here and there. Know Any Amazing Beauty Blogs or Influencers? Do you know a beauty influencer/blogger that should be listed here?